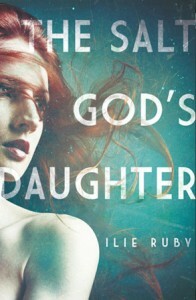 Note from Ilie: The stories of the women who populate The Salt God’s Daughter were inspired by the confluence of real life and a Celtic myth, which I learned from a folksong my mother played on the guitar, The Great Silkie of Sule Skerry. While the myth is the map, its many roads reflect the experiences of my grandmothers, of my mother, of my friends, and of seventeen young girls I never knew but whose histories found me. My wish was to illuminate the female experience through generations–not only those times that are shrouded in shadows, but also those that are lovely and beautiful, and made indelible with light. At its heart this is a story about true love, sometimes found between mothers and daughters, in the secrets of sisters, and in the arms of the first person with whom you shared your heart. When all is said and done, this novel belongs to resolute sisters Ruthie and Dolly. They are my champions. Their journey of discovery and survival is the heart of this story. Set in Long Beach, California, beginning in the 1970s, The Salt God’s Daughter follows three generations of extraordinary women who share something unique—something magical and untamed that makes them unmistakably different from others. Theirs is a world teeming with ancestral stories, exotic folklore, inherited memory, and meteoric myths. 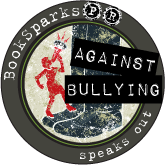 In recognition of October being National Anti-Cyberbullying Awareness month, we are proud to speak out with BookSparksPR, book lovers and author Ilie Ruby against bullies. Here's how you can speak out too! 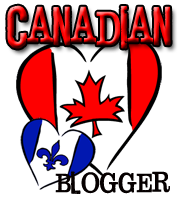 Post it: Post this anti-bullying badge on your blog, site or social media today along with the book cover and the note on Ilie Ruby's book The Salt God's Daughter. We understand you have other obligations/plans for your blog that day. Whatever you can do today to stand up for these 17 young women, Amanda Todd and so many other women and children who are being/have been bullied. Facebook it: Share the badge, this campaign (http://bit.ly/RCBDSZ) and your words against bullying via Facebook and tag (BookSparksPR) so they can share too! This sounds like a fantastic read. My kids, husband and I like to read the same books; it's like our very own little book club. We just finished reading a great book called "The Gilded Butterfly" by Sergei Selivanov. You can check out the book and get it right off the website, http://thegildedbutterflypage.com/index.html. I'll have to suggest this book to my family, I think they'd really like it! Thanks for the post and the suggestion! I'll for sure check it out, thanks!